The British poet Rudyard Kipling certainly nailed one of the central aspects of military life in that particular ballad. Even today, when troops are carried into action on helicopters and in LAVs, soldiering often still comes down to picking up one booted foot after another and putting it down again. So it’s not surprising that when it comes to combat boots, everyone who wears them has an opinion about what they want. And it’s also perhaps not surprising that the Army spends a good deal of time trying to get boots right. Or that doing so is so challenging. Last year, the Army announced it was searching for a new combat boot. This came just three years after it had chosen two new boots to issue to soldiers. These were selected as an alternative to the old, leather combat boots. Made of composites, the new boots were chosen because they were considerably lighter than the older boot. Two boots, it might be said, were better than one, but they still failed to address a key issue: Namely, the many myriad roles that Canada’s soldiers undertake. Now realizing that where footwear is concerned, one boot does not fit all (or even two boots for that matter), the Army is taking a very different approach, one perhaps unique in military procurement. Instead, the Army is going to let soldiers select their own. It won’t, he says, be a free-for-all; nor ultimately will it remove the purchase of combat boots from the Army altogether. It will, however, radically change the nature of that procurement. “Phase one of the new program, which runs from [August 2018] until next fall  will allow soldiers to buy the boot that best meets their needs,” he said. There are four simple criteria: the boot must be suitable for temperate conditions, defined as from 4 to 35 degrees Celsius—what we experience in Canada in summer. It must be a minimum of 15 cm high and no more than 23. It must feature a rigid, non-marking rubber sole that is fuel, oil and acid resistant. Soldiers will be able to purchase these boots from their Canex or via Amazon or any civilian store that carries the footwear they want. Recent media reports inaccurately implied the Army was planning to force soldiers to buy boots with their own money. 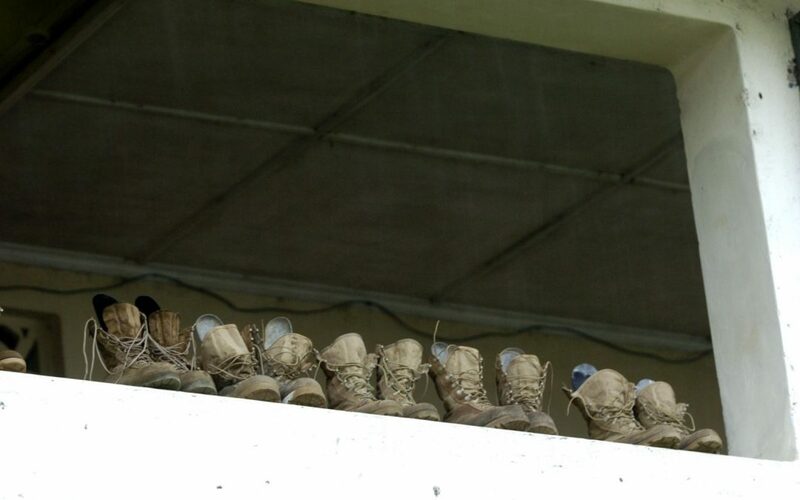 In fact, for soldiers who have demonstrated a need for the boots and have cleared the purchase with their chain of command, the Army will reimburse them up to $340 – generally the cost of some of the higher end boots out there. Needs will be determined by a soldier’s role and will be broken down into three tiers. Tier one will be personnel belonging to brigade groups, and some of the training centres, such as the Combat Training Center. They will be able, if they need it, to purchase one new pair of boots a year. “Tier two are the institutional Army, some of the bases and some of the schools,” said Chenard, and they will be entitled to boots every two years. Cpl Jill Coleby replaces her boots after tending to her feet during the Nijmegen, March in the Netherlands in 2012. Tier three are those who generally wear DEUs (distinctive environmental uniform) to work, such as those soldiers who work at the Department of National Defence in Ottawa. They will be reimbursed for boots every three years. “But if I am in a tier three unit, and I go away on some task – firefighting or an exercise – and I damage my boots, there’s a provision that says, with your chain of command’s approval, you can get more than your entitlement,” he explained. One group will be excluded from the process – new recruits. “Everyone will still receive two pairs of combat boots on joining,” he said. As part of the second phase of the program, the Army will work with industry over the next year to “pre-approve” a range of boots from a number of companies – the exact number is yet to be determined. In the third phase, the Army hopes to take boot ordering online, perhaps as part of a new online operational clothing system or by integrating it into the system now in place for DEUs. 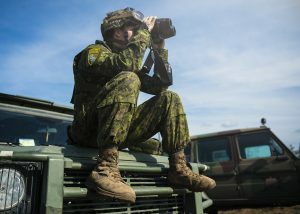 It’s a form of procurement that will probably be unique in the Army, but one that acknowledges that there are few pieces of kit as particular as footwear, and when it comes to choosing it, the wearer should decide. “They know their job better and they know their foot better than any central procurement could ever predict,” said Chenard.